On an autumn day full of gold and blue, I turned off of a downtown Santa Fe street and made my way up a long set of stairs, led by a friend and former teacher who was in town for the weekend. At the top of the stairs, down the hall, we entered one of many conjoined rooms—rooms filled with books from floor to ceiling. The bookstore, Allá, is mostly Spanish-language, and though neither of us speak Spanish (at least not fluently), we were confident—as bookmakers—we would at the very least be able to admire the form and structure of some of the thousands upon thousands of books on the shelves, in the cases, in the piles on every horizontal surface. We were greeted by a tall, quiet man—the owner of Allá, Jim Dunlap. He began showing us books he thought we might like, and soon we found ourselves engaged with him in conversation about Mexico, Latin America, history, publishing, and art. His knowledge was immense, and his passion for the culture and books of the region was apparent. 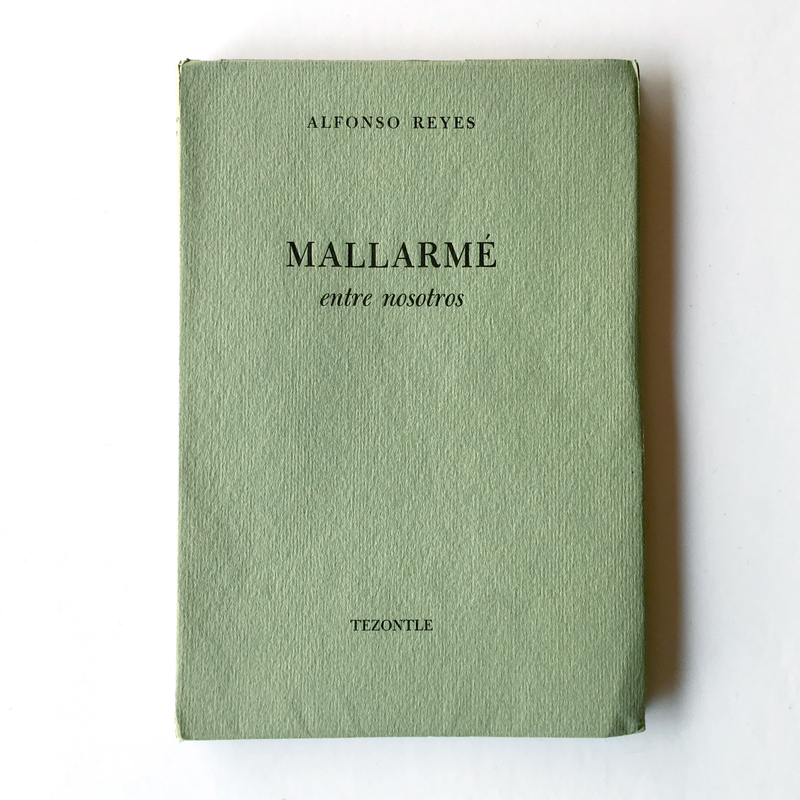 I had settled on an art book to purchase, but as we made our way to the register, a small, softbound book on top of one of the piles on the counter caught my eye: Mallarmé entre nosotros. I immeditately picked it up. The brittle laid paper cover, the soft deckled pages, the beloved old book smell. As an object, it was lovely. I looked at the Spanish text and gleaned that it was prose—a biography or analysis of Mallarmé’s work, maybe… Mr. Dunlap, the shop owner, noticed what I was holding. He asked about my interest and began talking about the poem Un coup de dés jamais n’abolira le hasard (A throw of the dice will never abolish chance)—at which point I was certain I would be buying the book. The situation was too fortuitous. Mallarmé! For my BFA thesis, I completed a series of unconventional translations of Un Coup de Dés: translations in movement, movement notation, nonlinear mathematics, and time-based animation. I spent the better part of a year analyzing, considering, and creating new work from the poem. And one of the people who was instrumental in guiding me along that path, who was part of my thesis committee, was the very same person who had guided me up the staircase and into the bookstore that afternoon. I held the book, in awe of the circumstances. My friend and former teacher raised her eyebrows at me. Mr. Dunlap told me a bit about the author of the text, Alfonso Reyes. The son of Mexican politician and general Bernardo Reyes, Alfonso was a philosopher and writer. I’ve begun to research him further, and learned that Borges referred to him as “the greatest prose writer in the Spanish language of any age”. I’m not sure what I will do with the book, but I feel inspired by it. I’d like to either attempt to translate it myself (a long and difficult process) or have it translated by someone more capable. Once I can understand the text, I could see using the material as inspiration for an artist book. But first, before all that, I think it deserves its own archival box or enclosure. I will begin with making that. That day was FULL of magical serendipity, which started when you picked me up to get coffee with Mr. Benson. And ended with MEOW WOLF! It was definitely ‘a sign’ that you found that.